WATERFRONT!!! 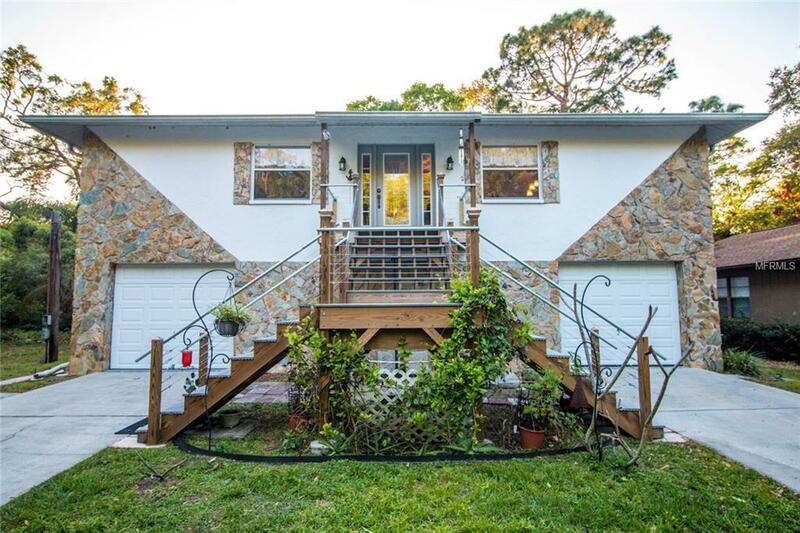 This 3bed/3bath remodeled ALL BLOCK home with FULLY UPDATED interior is nestled in an established, clean and quiet neighborhood and is located on a wonderful canal just 700 feet from Tampa Bay. This spacious home features over 2,000 sq ft and has an OPEN floor plan with water views of the natural canal setting from your back doors and a view of Boat Bayou from your front door. The large kitchen is PERFECT for entertaining and boasts GRANITE counters, stainless appliances, and plenty of cabinets. The breakfast bar leads to dining area and adjacent family room offers additional LIVING SPACE. The spacious master bedroom with updated en suite has a massive walk in shower. Generously sized secondary bedrooms with brand new carpet and updated full bath complete the upper level. Home has the perfect combination of open and formal areas and the lower level is another 2000+ sq ft of UNLIMITED potential! The BONUS room with 3rd bath would be perfect for a yoga studio, man cave, or craft room, and the home includes an all block SAFE ROOM. The STORAGE SPACE on the lower level is another HUGE bonus. Have a boat? Store it in your over-sized garage or store it in your yard (no HOA). Smaller water toys? Easily launch a kayak, jet ski or other small boat from your own back yard! Bigger boat? Launch it from 3 nearby locations (Philippe Park, Safety Harbor Marina, or Courtney Campbell Causeway). Conveniently located near shopping, restaurants, beaches. Easy commute to Clearwater, St. Pete, and DOWNTOWN TAMPA!